The Karnataka High Court is the High Court of the Indian state of Karnataka. It is located in Bangalore, the capital city of Karnataka. The High Court functions out of a red brick building known as Attara Kacheri. It is in front of Vidhana Soudha, which is the seat of the legislature of Karnataka.The Karnataka High Court is currently functional in Bangalore, Hubli-Dharwad and Gulbarga.The history of the Karnataka High Court can be traced back to the year 1884 when the Chief Court of Mysore was created with three judges and was designated as the highest court of appeal, reference and revision in the State of Mysore, the earlier name of Karnataka. The court had District Courts, Sub-ordinate Judges' Courts and Munsiff Courts to assist it on civil cases and a Court of Sessions, District Magistrate and First, Second and Third Class Magistrates to assist it on criminal cases. In 1881, the office of the Chief Judge was created and the designated person had the utmost authority in the court. 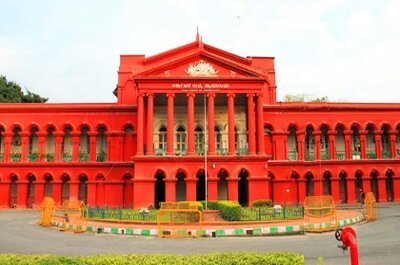 In 1930, it was renamed as the High Court of Mysore and the Chief Judge was given the new name of Chief Justice. In 1973, it got its present name of Karnataka High Court. 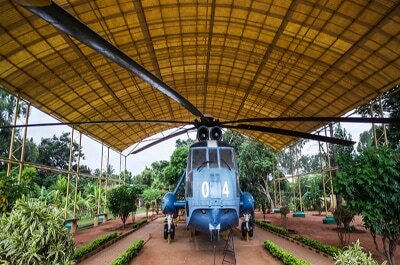 HAL Aerospace Museum is India's first aerospace museum located at Hindustan Aeronautics Limited premises, in Bangalore. Established in 2001, the Museum is part of the HAL Heritage Centre and Aero Space Museum, and showcases the growth of the Indian aviation industry and HAL for six decades. The museum houses displays of various aircraft and helicopters, Aircraft engine models, Flight simulators, a mock Air Traffic Control Tower and exhibit of Indian aviation history. The Museum is maintained by HAL (one of Asia's largest Aerospace companies). 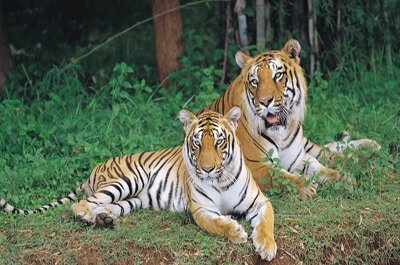 Bannerghatta National Park, near Bangalore, Karnataka, was founded in 1970 and declared as a national park in 1974. In 2002 a portion of the park, became a biological reserve, the Bannerghatta Biological Park. It is a popular tourist destination with a zoo, a pet corner, an animal rescue centre, a butterfly enclosure, an aquarium, a snake house and a safari park. There are ancient temples in the park for worship and it is a destination for trekking and hiking. The Zoo Authority of Karnataka, the University of Agricultural Sciences, Bangalore, and the Ashoka Trust for Research in Ecology and Environment (ATREE) are collaborating agencies. Within the national park area are six rural villages enclosed within three large enclosures for sheep and cattle farming. Orion Mall is a shopping Mall at Brigade Gateway Enclave in Bangalore, Karnataka, India developed by Brigade Group (Developer). 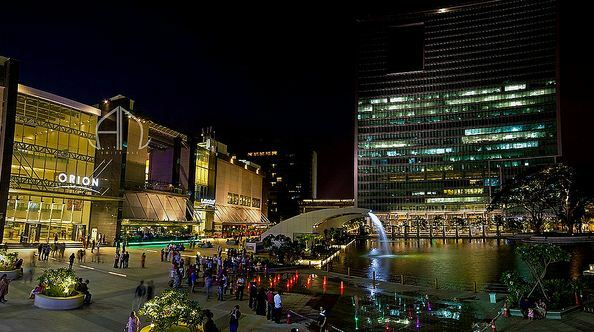 Orion mall with a total mall area of 1.1 million sqft is the 3rd largest mall in Bangalore. Orion Mall is part of a premium integrated enclave known as Brigade Gateway which houses World Trade Center, Sheraton Grand Hotel,Columbia Asia Hospital apart from the mall in its premises. Orion mall has 4 floors of retail space which includes shopping zones, multiplex, Food & Dining including lakeside cafes and bowling & gaming zones. 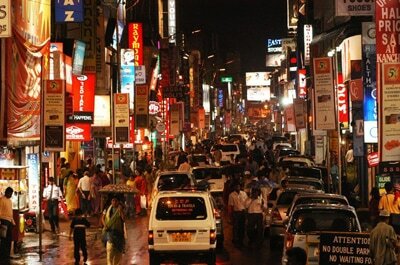 Commercial Street is a street in Bangalore, the state capital of Karnataka, India. One of the oldest and busiest shopping areas of the city, the street is famous for its trade in clothes, footwear, jewellery, electronics; and food joints. With only 75 parking slots available on the street for four-wheelers, the street is one of the most crowded in the city. Commercial Street lies in the heart of the city in the Central Business District area, close to M G Road, another popular shopping area, and Russell Market in Shivajinagar.